After completing the basic course, students who have demonstrated officer potential, have met physical and scholastic standards and agree to contract are eligible to enroll in the advanced course. This course is normally taken in the final two years of college and consists of outlined military science and designated enrichment courses that include communication skills, military history, and computer literacy. Upon completion of the advanced course, students are commissioned Second Lieutenants in the US Army. The available options after commissioning are active duty for a minimum of three years or three months active duty for training followed by part-time participation in the US Army Reserve or US Army National Guard. 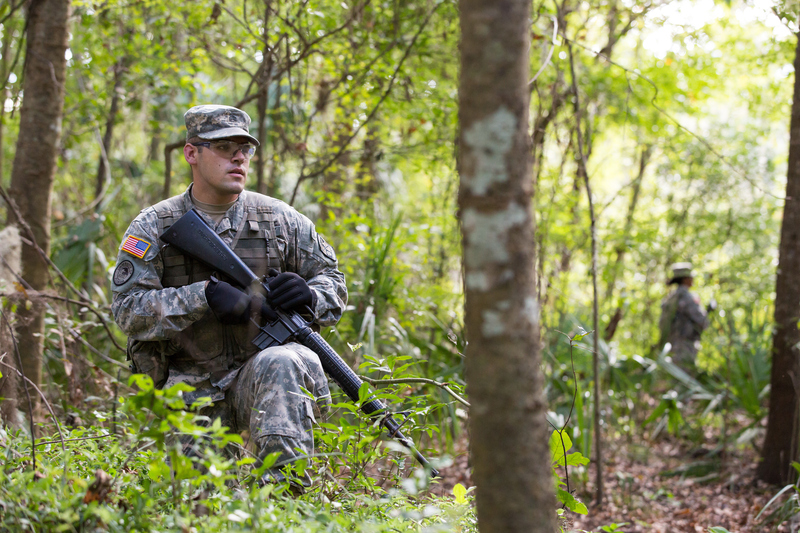 Several special programs are available for students who have previous ROTC training or active military service. These programs allow for part- or full-placement credit for the basic course. In addition, a program is available for simultaneous participation in both Army ROTC and the Army Reserve or Army National Guard.